Anna Regele, her husband Chris and their five children (Carter, 6, Cohen, 5, Cheyenne, 4, Chase, 2, and Claire, 1) live in Earlton, a small dairy hub in northern Ontario. They purchased the farm six years ago and are currently milking 55 Jerseys. They raise all their young stock and grow the needed forages on 190 acres. 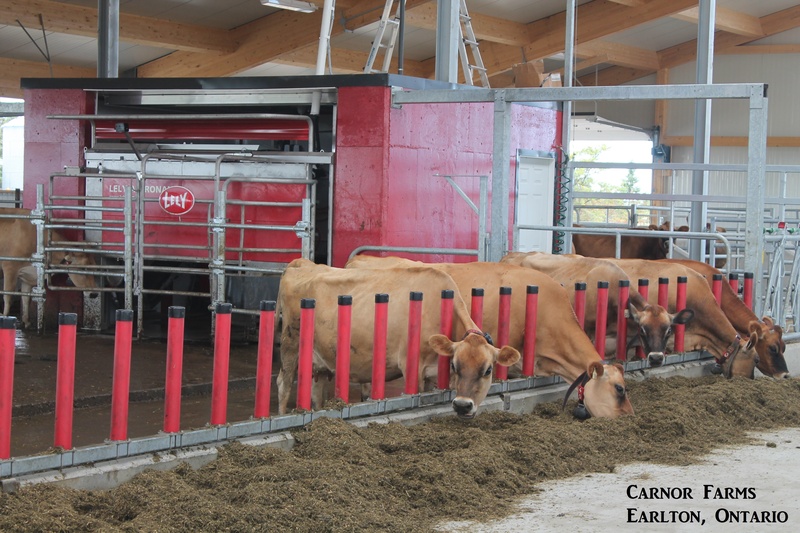 We asked Anna to share their Lely story. Our lives changed drastically late one August evening. Nothing can describe how we felt when we looked out the kitchen window and saw our 75-cow dairy barn in flames. For that evening, the world stopped turning. But, with the rise of the sun, a new day began, and some decisions were to be made: Do we quit farming? If so where would we work, and how would we support our family? Do we rebuild? If so, how big, and what type of technology do we want? So the research began. We couldn't quit farming; it's in our blood. That fall we travelled—tours to two Farm Shows and visits to numerous successful dairy farms—but we still had questions. Lely offered to show us more, taking us on a trip to Iowa to visit 5 farms of different sizes and giving us the opportunity to ask farmers questions that we needed answers to. The highlight of our trip was to Iowa's Dairy Center, a two-robot barn with Holsteins on one side and Jersey's on the other. This center is run in partnership with the local College and University, so we were able to obtain the facts and numbers that we were looking for in reference to robotic efficiency, energy use, as well as the comparison of the breeds. We came away from that trip having made 2 decisions. The first was to go ahead with a robotic barn, the second to put Jersey's in the barn. The next hurdle was to build the barn. Lely was with us every step of the way, making sure things would fit and traffic flow was adequate. There were multiple site visits and they were there to answer every question we could throw at them. Those first few days were tough—between teaching cows, learning the robot, and dealing with all the other hassles a new barn has to offer— but we wouldn't change it for anything! We started milking right on schedule and under budget. 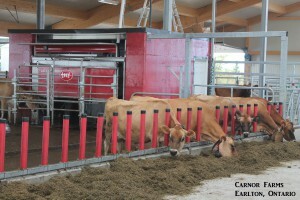 Our Lely robot has changed our lives for the better! We love the flexibility of time that we have now. With five kids we can now attend all their events without having to worry if we will be done in time for chores. We spend at least an hour less a day doing chores, and the time spent in the barn is focused on herd management, not milking cows. 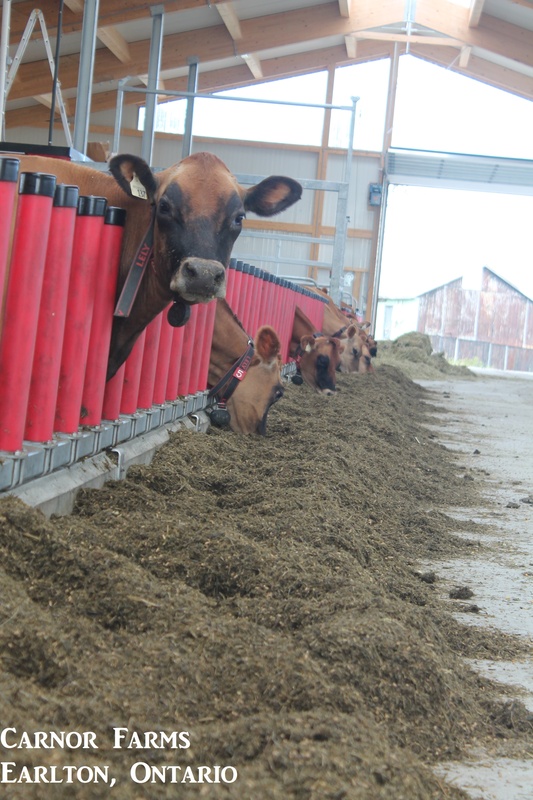 Our cows are healthier and happier than ever before. 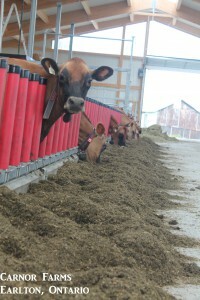 We use the Lely reports daily to ensure they stay that way. It is routine to check the SCC levels in the herd daily, as well as any other health alerts. The detailed reports are perfect for meeting production goals and providing us with information that we didn't have immediate access to before, such as milk quality and detailed activity graphs. These all help to make our one-man operation run smoothly. To those considering if robots are for you, do your research and visit farms. 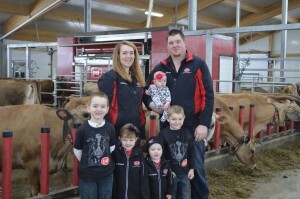 The decision can be tough, but our Lely robot was the perfect fit for our family.